Most of you should be familiar with the LighthouseFriends website but may not be aware of the man behind the site — Kraig Anderson. The answer is a complex mixture of reasons that is perhaps better understood through firsthand experience than through words. Part of the appeal lighthouses have is that they are found in some of the most beautiful settings, often on rugged coastlines dotted with conifers or on sandy beaches lined with palms. Lighthouses can also be found in the remote extremes of the country where a sunset or sunrise over a large body of water can be enjoyed in complete solitude. A perfect viewing platform for these spectacular settings is the walkway encircling the lantern room atop the lighthouse. Perhaps lighthouses also appeal to our nostalgic and artistic senses as they are some of the most historic structures to be found in the United States, and the architectural detail found in many of them is amazing. Not only were they built to endure the ravages of the elements enhanced by their often exposed locations, but they were also built as monuments to engineering and design. With hewn rock foundations, spiral staircases, sloping conical towers, ornate water spouts, detailed window trimmings, and lantern rooms filled with giant Fresnel lenses and topped by spherical ventilator balls, lighthouses are simply beautiful structures. With its thousands of prisms, the Fresnel lens sits like a diamond at the top of the lighthouse tower. Witnessing a first-order Fresnel lens take the light of a small bulb and shape it into beams of light, extending for miles from the lantern room and rotating like the spokes in a giant wheel, is a breathtaking experience. Yet another reason for the allure found in lighthouses is the multitude of heroic rescues associated with them. Though many lighthouse keepers viewed their position merely as an isolating, low-paying job, for others it was seen as a chance to be of true service. Their devotion to tending the light, polishing the lens, sounding the fog signal, and assisting in rescues is remarkable. A year or so ago, I encountered Kraig in the National Archives doing research for his site. I was impressed that he uses primary research in putting together his histories. I initially relied on popular lighthouse books to generate information for the various lighthouse pages on my website, but I have gradually compiled a collection of original source material through visits to the National Archives, the Coast Guard Historian’s Office, Library and Archives Canada, regional Coast Guard offices, and various museums and libraries. More of my lighthouse-focused time is now spent in researching lighthouses rather than visiting lighthouses, and my current project is adding lists of head keepers and assistant keepers to my lighthouse pages along with historic images. I refer to his site often in my own work if I need a quick overview of a lighthouse I’m not that familiar with. I feel confident that the information he presents is fairly accurate and appreciate that he lists his sources! And now that he includes lists of keepers at each station, I have a place to refer keeper descendants that are searching for the lighthouse in which their ancestors served. You may have noticed Kraig includes both historic and modern photos of each lighthouse. I was impressed to learn that Kraig has visited every U.S. lighthouse and those in Canada as well. Originally, lighthouses served as a fun way to combine two of my hobbies: travel and photography. Lighthouse journeys took me to the four corners of the contiguous United States and many places I never would have otherwise visited. They also provided the opportunity to meet numerous people, even some lighthouse keepers, who share a passion for lighthouses. I’m not sure how Kraig manages to be a lighthouse expert while a full-time electrical engineer in wireless telecommunications, but I really appreciate his generosity in donating his time and talents in developing a fantastic resource for fellow lighthouse enthusiasts. 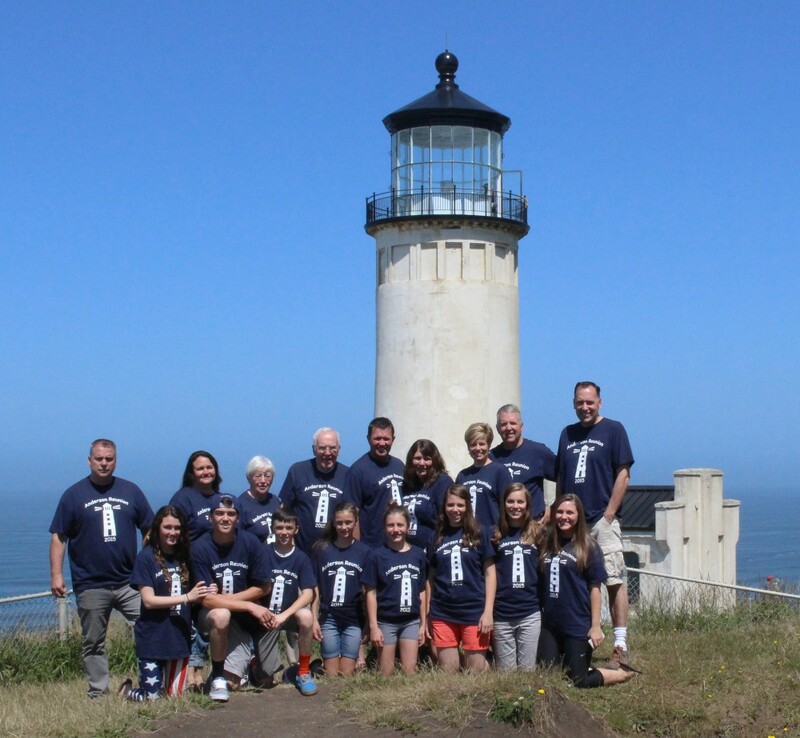 It’s my hope that people will use the pages on my website to plan their own lighthouse adventures, relive past lighthouse experiences, and participate in their restoration and preservation. Kraig Anderson certainly qualifies as a modern day Lighthouse Keeper! This entry was posted in Modern Day Lighthouse Keeper, Research and tagged Kraig Anderson on September 2, 2015 by lighthousehistory. Kraig has a great website and I’m especially happy to see the growing keeper’s lists there. When doing in-depth study of lighthouse service topics I have found Kraig’s site to be most reliable and most helpful.